The Ultimate Safari Experience! 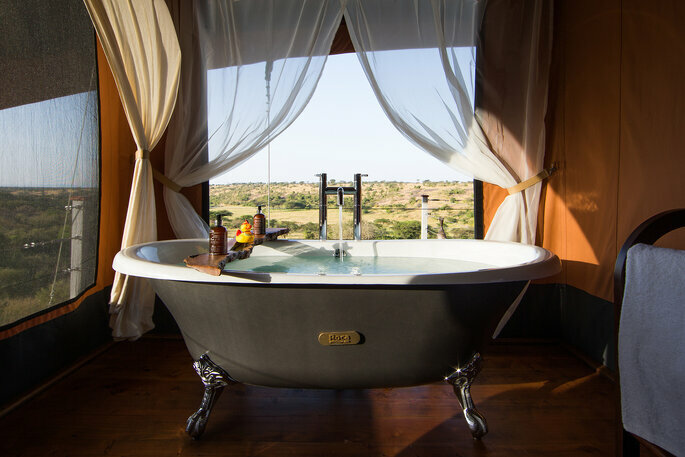 Choose Mahali Mzuri for your Honeymoon in Kenya! Have the most incredible honeymoon experience with an unforgettable safari in Kenya at Mahali Mzuri! 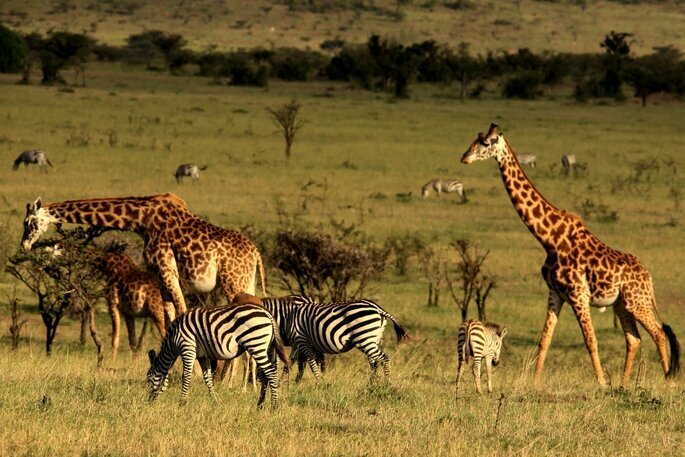 Mahali Mzuri: the name itself literally means “beautiful place” in Swahili, and we can totally see why! What could be more perfect than a romantic escape to the remote Kenyan bush? A truly fab mix of an exciting safari packed with wildlife sightings and adventure, complete with gourmet meals, fine wines and some luxury pampering! A guaranteed unforgettable getaway. Ignite (or re-ignite!) the magic at Mahali Mzuri! Their exclusive romance offer will ensure you’ll both enjoy an intimate and private escape in the magical Kenyan bush. 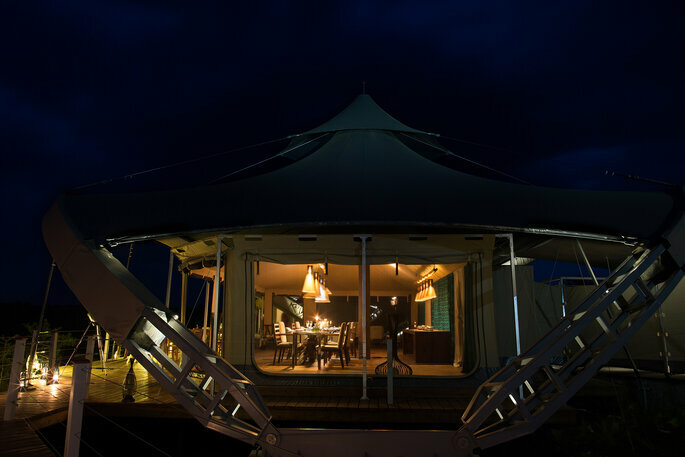 Luxury tented accomodation in the heart of the action! 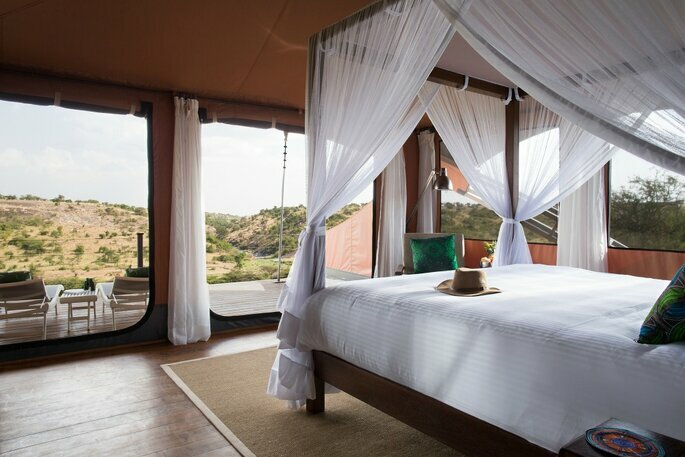 Your tent at Mahali Mzuri is your window onto some of the world’s most spectacular scenery! Each of the 12 luxurious tents is designed to be your home away from home throughout your stay, with an en suite bathroom, inviting private deck and views you won’t want to miss out on. 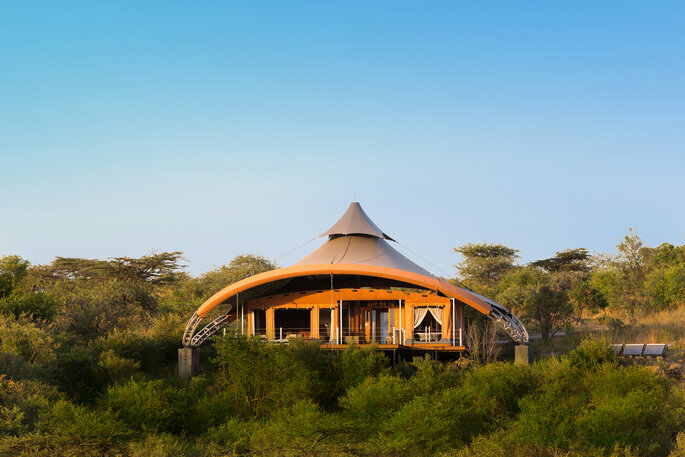 Not only are the tents the epitome of luxury, fitted out with all the home comforts, but the whole safari camp is located in the world-famous Maasai Mara ecosystem and right in the path of the annual great migration. Can you imagine waking up and looking outside your bedroom window to be greeted by such an amazing sight! Whatever you do, be sure to grab your binoculars! Even when you’re not on game drive there are endless opportunities to see the wildlife that populate the area around the camp from the comfort of your tent. 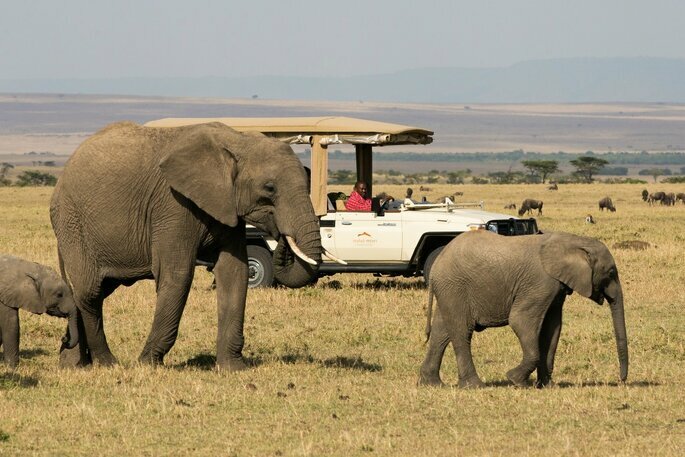 The abundant animal life in the Olare Motorogi Conservancy is quite simply jaw-dropping, and you won’t need to go far to see some unforgettable sights. All the drama that only nature can provide is on your doorstep and you’ll be in the hands of the experienced Field Guides with a front row seat and involved in all the low down! The Field Guides will take you on twice daily drives through the Olare Motorogi Conservancy in open vehicles and on an average drive you are likely to spot wildebeest, elephants, zebra, lions, leopards, and that’s just for starters. The game experience continues back at the camp as it is set just above one of the area’s few year-round watering holes, ensuring great game viewing from the dining pavilion and straight from your luxury tent! While you’re staying at Mahali Mzuri you’re welcome to visit one of the Maasai villages in the local area to get a flavour for daily life in the Mara. The village is only 10 minutes’ drive from Mahali Mzuri and the best times to go are first thing in the morning when you can help milk the cattle or in the evening when the cattle, goats and sheep are being herded back to their enclosures for the night. Your guides at Mahali Mzuri will take you on a tour and introduce you to their families while explaining some of the cultures and traditions. The top chefs at the camp have developed numerous pan-African dishes influenced by a variety of cultures, flavours and spices. 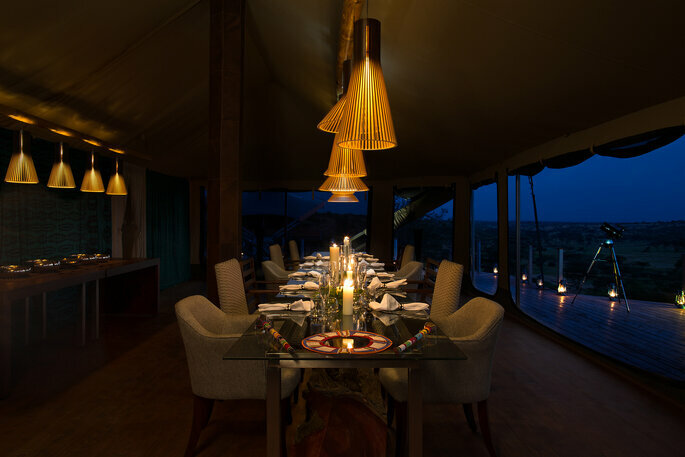 Whether dining under the African sky in the open bush, on a deck under the starlit sky or in the dining tent surrounded by panoramic views, the menus and meals promise to be exquisite! views are fabulous, and the champagne somehow tastes even better! Private romantic dinner: On your last evening with us enjoy a delicious private meal for two under the stars with your own personal butler. The thrill of going on a game drive is difficult to top, but to wind down in style, there’s the ultimate relaxation treatment at the Naaro Spa! With a range of super sumptous treatments continue to live the life of luxury and have your every need taken care of! The ultimate safari experience or what? We’re definitely convinced and have our passports in hand ready to go! With your every wish taken care of by the expert team, and a once in a life time trip – is there any better way to start the rest of your married lives? For more honeymoon inspiration, click here!